Home F1 Sainz and Marko's prediction: "I can say what I know ..."
Sainz and Marko's prediction: "I can say what I know ..."
The Madrilenian does not enter into opinions and speculations, "as other people do". "I do not know where we are going to be, but we've gone around more than in other years." 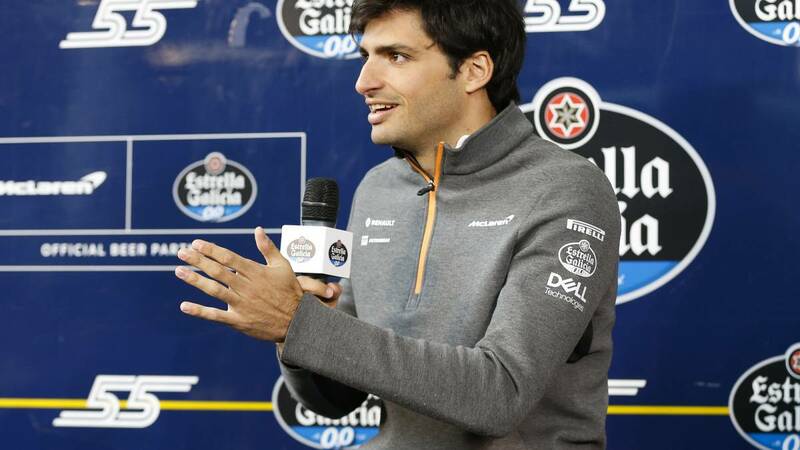 Carlos Sainz presented at the Madrid Railway Museum the grandstand that will carry his name in the GP of Spain, in Montmeló, with the support of Estrella Galicia. The Spaniard spoke about the McLaren, his "good start", and about the predictions after the pre-season tests. Because Helmut Marko, Red Bull's top manager in F1, sees the penultimate MCL34 ahead of Williams: "They are opinions and predictions, everybody has the right to do their calculations, predictions and speculations. They are their numbers and their calculations , against that there is nothing to object if it is what he thinks. I can say what I do know: I do not know where we are going to be, but I do know that there have been more laps than in other years. I know that half of the grid will be very tight and it is practically impossible to know where we will be. I know it will be very similar to last year ". So, what would be a good result for McLaren and Sainz in the Australian Grand Prix? "It depends on how the Free 2 go and how the car goes there, which is a circuit very different from Barcelona. There are still many variables and that's why I do not dare to make predictions, as other people do. I know there are three teams ahead, the usual ones, there are several teams that can take a jump in Melbourne, as can be the case with Haas, and I can say that we arrived more prepared than last year. I can say what I know, but I can not talk about what I have no idea. " The new engine helps, " those horses will lend a hand, although you have to see in Australia how much that brings us closer to our rivals ". in any case the work during the tests has been very positive for the Woking box: "In the first week we were investigating with configurations and in the second we put everything we had learned to see where we were. There was a lot of progress and we did not bring anything new in aerodynamics, just to understand the car and the 'set up'. For this year what matters is that the team finishes the year ahead of where it started. I would like to see progression from the first race to the 21st in Abu Dhabi ".